This is another of our Lessons for Living from Moses our Mentor, which we feature every week on what we have come to call Torah Tuesdays. You may expect such lessons each week at this time as we examine the life and teachings of Moshe Rabbenu, Moses our Teacher. This week’s lesson is from Parshat Yitro, which covers Shemot/Exodus, chapters eighteen to twenty three. How do people come to share one’s beliefs and join one’s community? How does a person choose to become a Mormon, or a Roman Catholic, or a convert to Judaism, or a Messianic Jew? Usually, some form of doing comes before understanding. They have some experience participating and experience leads to interest, interest leads to questions, questions lead to answers, and answers lead to commitment. Don’t be surprised at this. Just look at Mikra Sh’leimah, which is what I like to call the Bible with both the TaNaCH [the Old Testament] and BaCH [the New Testament, or B’rith Chadsha]. In Mikra Sh’leimah we find this principle of experience before commitment all over the place. The Psalmist says, “O taste and see that the Lord is good” You will never know how good it tastes until you taste for yourself! This is the way people come to embrace a faith, including Yeshua faith. People need much exposure and much experience before they will begin to understand what our faith walk is all about. Repeated experience and exposure first, and from that browns interest, questions, understanding, and eventually commitment. Contrary to what we might imagine, it is experience first, explanations later. Jethro and Moses’ conversation in the passage we are examining here today is found in Shemot/Exodus 18:1-12. It is my favorite description of how people come to faith in the God of Israel and/or His Messiah. Let’s look at some of the principles, what we call “Lessons for Life” at work here. 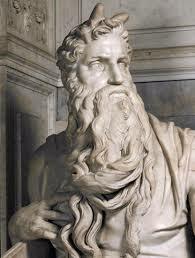 Jethro, the priest of Midian, Moses’ father-in-law, heard of all that God had done for Moses and for Israel his people, how the Lord had brought Israel out of Egypt. Now Jethro, Moses’ father-in-law, had taken Zipporah, Moses’ wife, after he had sent her home, along with her two sons. The name of the one was Gershom (for he said, “I have been a sojourner in a foreign land”), and the name of the other, Eliezer (for he said, “The God of my father was my help, and delivered me from the sword of Pharaoh”). Jethro, Moses’ father-in-law, came with his sons and his wife to Moses in the wilderness where he was encamped at the mountain of God. And when he sent word to Moses, “I, your father-in-law Jethro, am coming to you with your wife and her two sons with her,” Moses went out to meet his father-in-law and bowed down and kissed him. And they asked each other of their welfare and went into the tent. Then Moses told his father-in-law all that the Lord had done to Pharaoh and to the Egyptians for Israel’s sake, all the hardship that had come upon them in the way, and how the Lord had delivered them. And Jethro rejoiced for all the good that the Lord had done to Israel, in that he had delivered them out of the hand of the Egyptians. People most often come to faith in the God of Israel and His Messiah when they share with one another a relationship of mutual regard. Moses and Jethro already have this kind of relationship. In his book Rhetoric, Aristotle reminded us of the importance of ethos—of the known credibility and character of the communicator, apart from which no persuasion can occur. Moses had credibility with Jethro, he had proven character. The relationship the two shared became the bridge over which Jethro walked toward the good news of Israel’s God. So shall it be for us. And we must not miss the fact that Moses also had high regard for Jethro. Notice the respect with which he greets him. We must never play the role of Great and Wise Benefactor to those with whom we seek to share our faith—there must be tangible ways in which we can acknowledge ourselves to beneficiaries of their relationship with us. People most often come to faith through coming to know the story of our own encounters with God in Messiah through the grapevine, through observation, and/or because we tell them. Jethro had heard reports of God’s dealings through Tzipporah his daughter, and perhaps through his grandchildren, Gershom and Eliezer. He had also heard the reports of God’s goodness to Israel through travelers in the area. Most of all, in this passage we see Moses telling him own story—his own experience with God, and the experience of the people of God in general. It ought to be the same way for us. People need to hear and see about the mighty works of God in OUR lives if they would reflect upon the reality of the God of Israel and of Yeshua’s claim to be Messiah. I teach seminars and workshops on faith sharing, and this is one of the big issues: people want to hear about the Living and True God, livingness first, truth second. People most often come to faith, and are able to make decisions concerning Yeshua-faith through developing confident knowledge of the facts about the power and the character of God. This is of course what we see in this story. When people come to faith in Israel’s God, and respond to the One who “in these last days has spoken to us by his Son,” they ought to acknowledge this truth and power and God they have encountered through some culturally validated significant worshipful, ritual act. We see this in Jethro’s offering a sacrifice in acknowledgment of the God of Israel. What ritual actions are involved in conversion to Judaism today? What ritual actions are involved in coming to Yeshua-faith today? These actions actualize the realizations people are having and present an occasion for community bonding. When people come to such mature/committed faith, they ought to be received into the community of God’s people through a rite of passage and reception by authoritative members of the community. We see this in this passage as Jethro shares a meal with the elders of Israel—this was a sign of their receiving him as one of their own. We misunderstand the nature of Yeshua-faith and of religious commitment in general when we imagine that it is about “my personal relationship with God.” It is not! Rather, this kind of faith life is a social reality—we become part of of a communal expression of the people of God, or renew our identity as part of the people of God, when we come to Yeshua faith, so it has an inescapable social dimension. People who say they have come into Yeshua faith who do not come into renewed/new relationship with the people of God are not speaking of a biblical reality. In coming to Yeshua-faith, people experience three encounters. We can see these encounters evident in this story of Jethro and Moses. A truth encounter – “I now believe this to be essentially true. I see something compelling about the character of G-d as you have encountered him and want to experience the impact of this truth and power in every aspect of my doing and being. In discussing our Yeshua faith with Jewish people, sometimes we are asked “Why do I need Yeshua? What can I get from him that is not otherwise available?” I suggest that part of our answer should be this: “Our encounter with Yeshua makes our Judaism work better–there is a dynamic empowerment here which ought not to be missed.” Really, this is what the Prophet Jeremiah recorded as the promise of God in chapter 31 of his book: “For this is the covenant that I will make with the house of Israel after those days, declares the Lord: I will put my law within them, and I will write it on their hearts. And I will be their God, and they shall be my people. (Jeremiah 31:33, ESV). Thanks so much. This was a powerful insight which we will entrust to our hearts. I found the below links to overlap & support your sentiments.